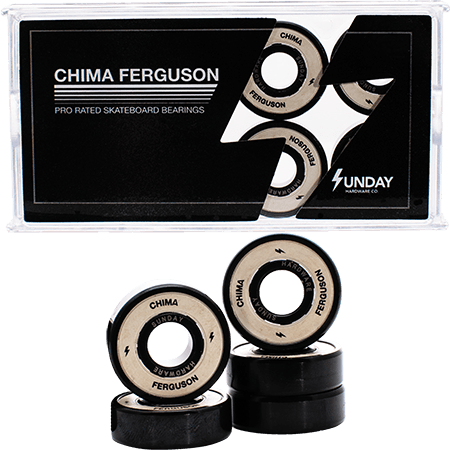 The Sunday Chima Ferguson Pro Rated Bearings are top quality rubber shield bearings designed to stand up the pro level punishment. Hit all the features at the park as smooth and fast at Chima. Super fast and durable bearings from the Sydney based shredders, Sunday Hardware.